First-year member of the women’s distance program…a four-year cross country and track & field athlete at Rockledge High, where she was a teammate of FSU’s Mackenzie Baysinger…competed in three meets in the fall. Cross Country: Lined up three times with the Noles…posted season-best 22:02 at the Mountain Dew Invitational 5k in Gainesville…had a similar mark at the FSU Invitational (22:04)…was 21st Nole across the finish line at the Crimson Classic in the first 6k of her career. 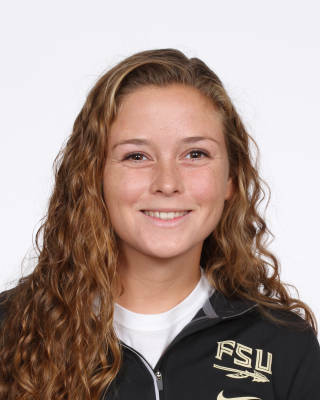 A two-time qualifier to the Florida state cross country championships…competed on the track in events ranging from the 800-2k steeplechase…outstanding high school student…plans to major in biology at FSU…born June 27, 1998.